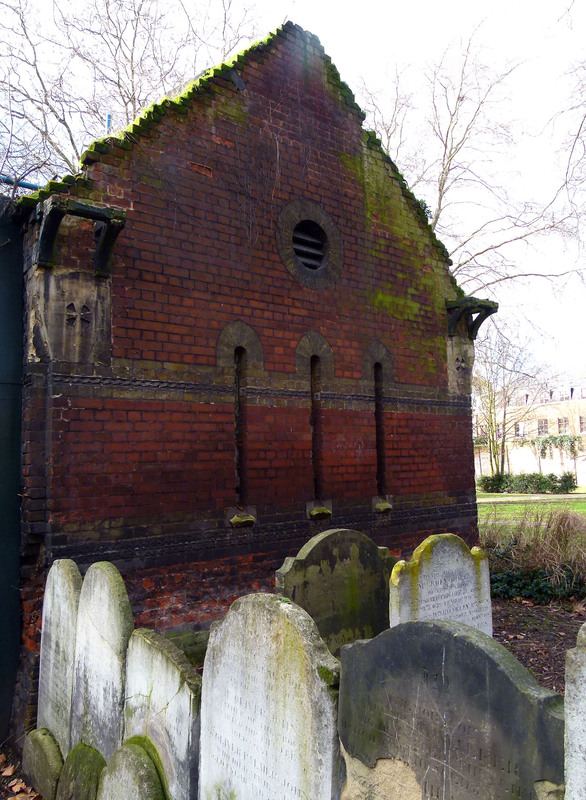 Built in 1877, the origins of this little building are rather unsettling… in its first incarnation, it was originally designed as a mortuary. 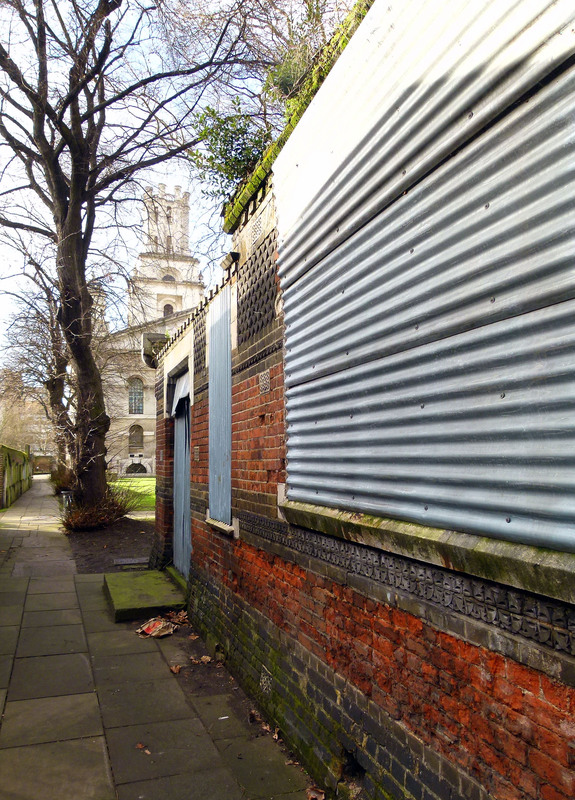 Side of the ruin, looking towards St George in the East church. It was here, in September 1888, that the body of Elizabeth Stride- widely believed to be the third victim of Jack the Ripper– was brought for a post-mortem. 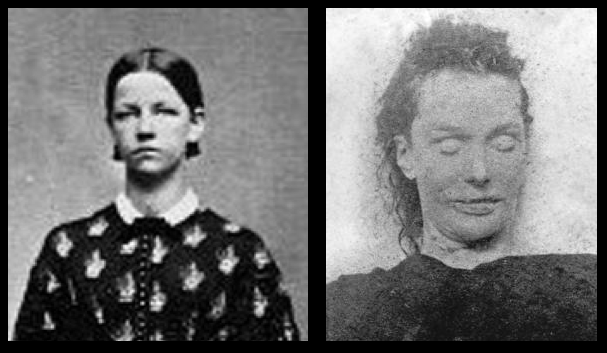 Elizabeth Stride in life and death… the disturbing image on the right was taken inside the now derelict St George in the East mortuary. Originally from Sweden and known locally as ‘Long Liz’, Elizabeth Stride’s body had been discovered just off of Commercial Road on Berner Street (now renamed Henriques Street), approximately half a mile from St George’s Gardens. 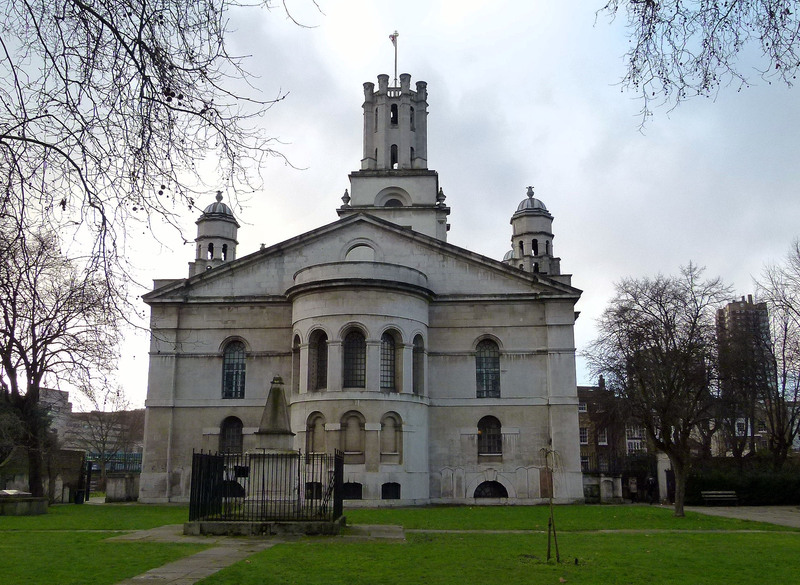 St George in the East church and surrounding gardens. If Elizabeth had indeed been murdered by the Ripper, it is believed the killer was disturbed during the deed as, unlike other victims of the notorious spree, Elizabeth’s body had not been subjected to the serial killer’s horrific signature of disembowelment. Old gravestones tucked behind the former mortuary. In 1904, the mortuary took on an entirely different role when it was converted into the ‘Nature Study Museum’; a commendable attempt to introduce impoverished East End kids to the wonders of Mother Nature. The Nature Study Museum in happier times. Teeming with tanks of live fish, amphibians, insects, a beehive, aviary and an array of stuffed creatures, the museum was a great success, drawing in 1,000s of eager schoolchildren every year. 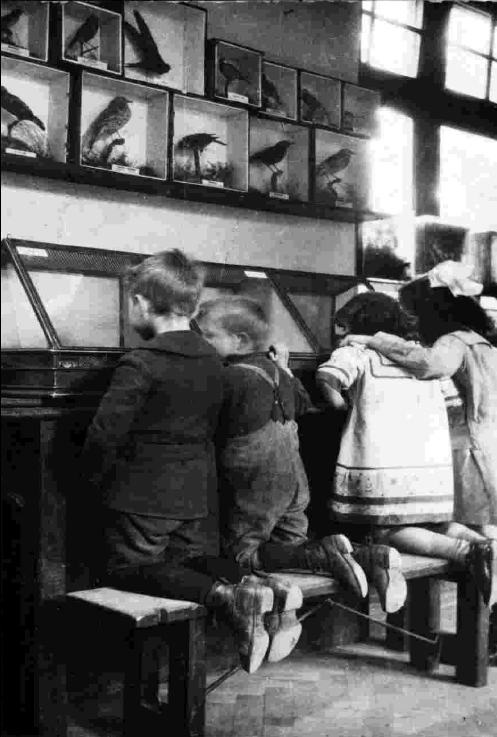 City kids enjoying the Nature Museum’s exhibits (image: copyright Tower Hamlets Local History Library & Archive. 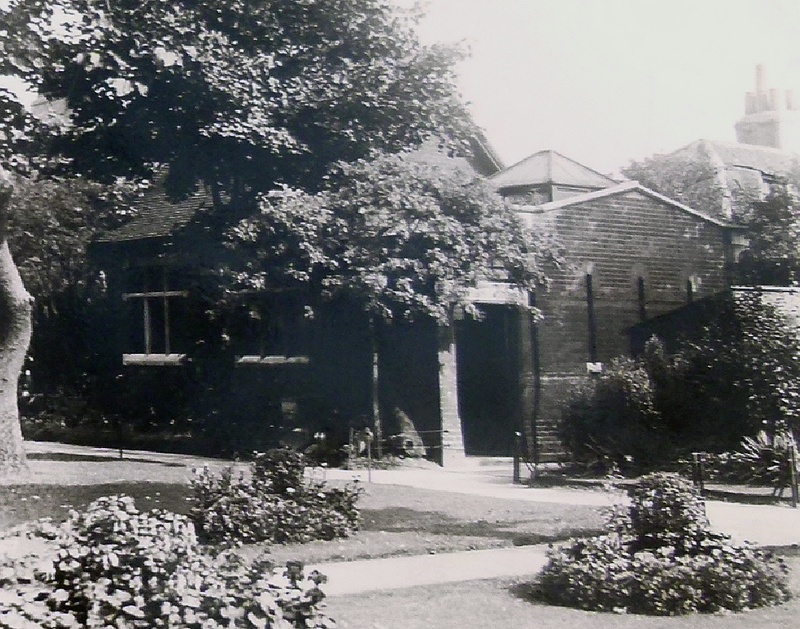 In 1939, the outbreak of World War Two brought a sad and abrupt end to the Nature Study Museum. With conflict looming on the horizon, the authorities had little time to consider the problems that zoos and other such establishments dealing with live animals would face in time of war. As a result, many creatures- including thousands of household pets- were destroyed. 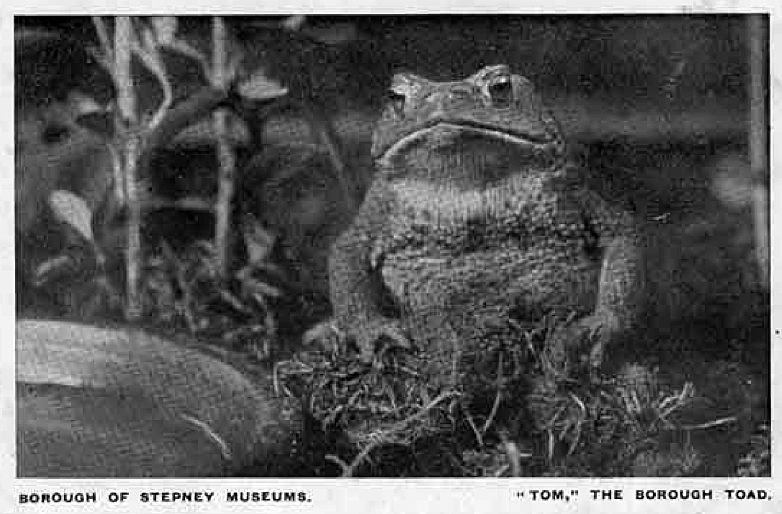 ‘Tom’; an Italian toad and star attraction of the museum… of whom one child wrote, “When we look at it, it makes a snap at us, as if it wants to eat us.” (Image: St George in the East Church website). Although the closure of the Nature Study Museum was intended as a temporary measure, it never reopened and the ensuing decades have seen it sink into crumbling decay. 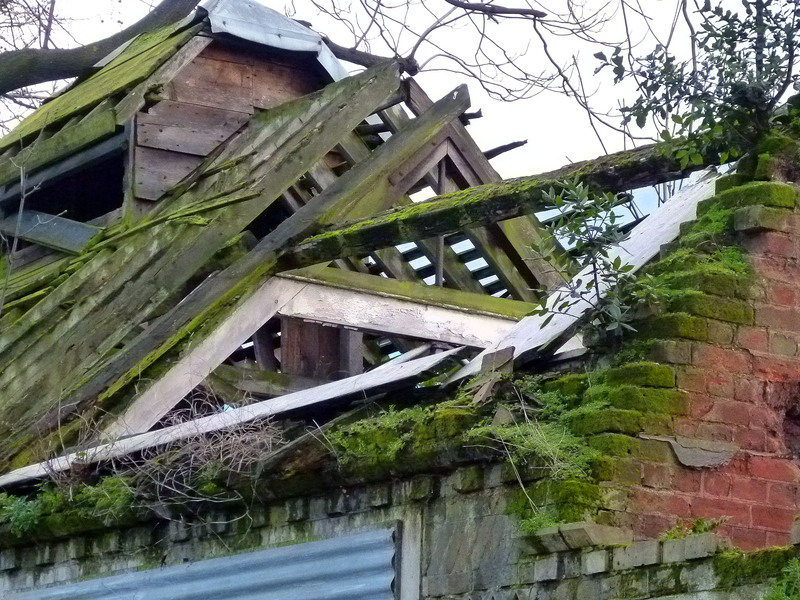 Apparently, there is a planned renovation in the works for this historic little ruin…. Let’s hope it comes to fruition soon. A very interesting post. 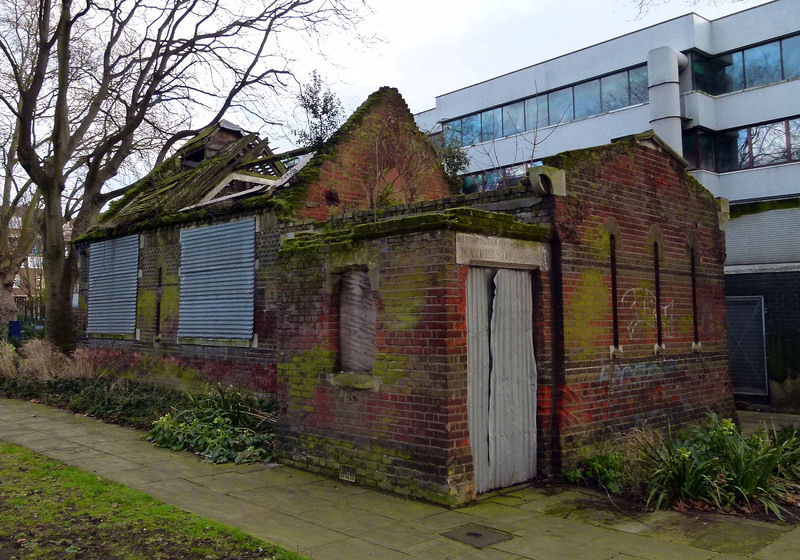 Thanks for sharing these gems of information and do please keep us posted with any progress in plans for this histoic little building’s restoration. It would be great to hink that it could be saved for the future. Many thanks, Antiquarian. If anything happens there, I’ll certainly let it be known on this site. Great little story. Let’s hope it gets refurbished. I am – I don;tactually know what – but there is an actual picture of a Ripper victim.